As you shop around for a stair lift, you’ll encounter a range of power and drive options. You might ask yourself, “Which is best for my needs?” While there’s no singular “best” solution, you should consider the pros and cons of each system. Belt: While a less formal name, “belt” operation specifies a carriage, or chair, being pulled along the rail by a cable or chain. The system operates through a rotating rack and pinion system. 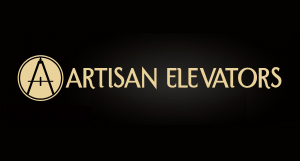 Smaller lifts and those designed for personal use are more likely to have this system. Direct Drive Motor: More of a option for commercial and heavy-use models, a direct drive motor simply moves the carriage along the rail without use of a rotating belt and pulley. As a bonus, these systems require less maintenance. Along with the lift’s drive system, you’ll find that models use battery or electric power. A few A/C models, however, incorporate both options into a single system. What results is a stair lift that uses a household current to operate and continually recharge a battery. This proves to be a bonus during power outages, as the lift will still operate. Batteries: Systems operating by battery power usually have a warranty extending to the power system. When it comes to the impact on your home, you won’t see your electric bills soar. Yet, there will come a point in which you’ll need to replace the batteries; otherwise, you’ll risk having the system stop while in use and keep you stranded. Electric: You’ll still get a consistent source of power, but be mindful that an outage will prohibit use of the system. Keeping the lift plugged in may raise your electric bill, and within time, you’ll need to schedule an inspection, as it’s designed with electrical wires. 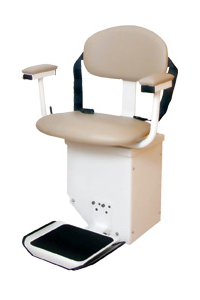 Once you consider these factors, decide which system from Indy Stair Lifts matches your needs. Browse our store today for a choice of residential and commercial models, and contact us with any inquiries.